What games can I play with my kitten? 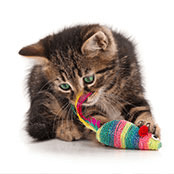 Which toys do I give my kitten? 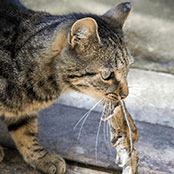 Why do kittens bring home prey? How do I stop my kitten from biting me?